My Top 5 Absolute Favourite Hacks for Big Bouncy Hair! Quick Hair History and Then Onto My Top 5 Hair Hacks! I've had an endless On/Off love affair with my hair for most of my life. When I was younger having big bouncy hair was so out of style it constantly felt like I was walking round with a lions mane on my head whilst everyone I knew sported gorgeous sleek straight locks. I was the girl who dreaded stepping out into the rain during winter time because I knew ten steps down the road my hair would look like i'de been electrocuted by a power line as soon as i'de stepped out my house and I hated those ridiculous fuzzy flyaway strands that always seemed to halo the top of my head whenever a speck of humidity could be felt in the air. I could go on and on about how much damage I ended up causing my hair through the constant straightening, tugging and pulling I used to do just to get it to lie straight, not kink or curl and stay flat on my head. safe to say my hairdresser became so dismayed by how harshly i'de treated it she lopped it off to my shoulders and told me not to touch it again until it had grown back to it's original length. I wish now that I'de of kept my promise to leave my locks alone during that time but my obsession with poker straight hair lead me to mistreat it over and over again until I finally looked in the mirror and actually saw the damage I was doing myself. I think about it now and I still think how much of a shame it was I didn't know how to treat my hair better back then. My hair would be twice as long as it is now...But I suppose we can't live in the past so I'm just so glad that I managed to claw my hair back to a strong condition and I wanted to share my own personal hair hacks with you guys just incase any of you are goign through the same thing and might be looking for little guidance on tips you could use to restore your locks. Hair Hack #1 - Coconut Oil Treatments before Washing! This is a hair hack I learned a few years ago that I truthfully think has made one of the most significant improvements in the state of my hair and helped it grow during this time. During the years that I quite literally attacked my hair with straighteners, blowdryers, random smoothing products and bristle brushes I used to notice an astronomical amount of breakage at the ends of my hair in the shower, whenever I brushed it and even when I'de been sleeping in my bed. It may sound naive but back then I never even considered that perhaps one of the reasons my hair didn't seem like it was growing wasn't because my hair follicles weren't producing new growth at the normal rate but because the ends of my hair were quite literally being ripped apart, shredded up and left scattering my pillow case and hair brush day after day and I wasn't doing anything to address it. After plenty of research I decided to start taking care of my ends more carefully and see what difference that made to its length over the course of a few months, I got a trim, started protecting the ends of my hair with well formulated heat and environment protectant products and most importantly I started protecting them from hygral fatigue. Hygral fatigue is hair damage thats caused by the hair fibers rapidly absorbing water which causes them to stretch and expand and then as the water quickly evaporates or is pulled from the hair during towl drying and blowdrying the hair fibres shrink and crack leaving tears and damage on the strand which cause it to split and snap over time. Hygral Fatigue is a common cause of hair damage and yet I found I knew nothing about it and even more had no idea how to minimize it's effects. Thats when I discovered the trick of applying a fine molecular oil to the ends of the hair (such as coconut oil or argon oil) before you step under the shower head. The fine oil coats the hair shafts and penetrates the hair structure to block water from entering and swelling each strand. Over time it helps prevent the damage caused by hygral fatigue and helps maintain your hair ends integrity and shape so their less susceptible to breakage and split ends. To read more about the benefits of preventing hygral fatigue check out my full article on it RIGHT HERE! Hair Hack #2 - Only Brush Hair with a Wide Tooth Comb or Tangle Teezer! This great trick i've been solidly following for the last 4 years. Before I realized the damage regular bristle brushes and tightly packed hair brushes were doing to my easily damaged hair I had no problem with grabbing any old hair tool to rip the knots and tangles from my hair before I left the house. I toyed with so many brushes promising a smooth sleek finish and barely any breakage and achieved nothing but a halo of broken and split ends for my expensive hair buying fetish. After I decided to completely overhaul my haircare routine I made the choice to take it back to basics and began using a wide tooth comb and my little tangle teezer as the only hair tools to help gently draw the knots from my hair both when it's dry and wet. I also started brushing from the ends of my hair first, working my way to the middle and finally roots to stop myself from dragging my comb along the entire length of my strands tugging at knots as I went. I also on occassion use a hair detangler spray or serum if my hair is particluarly knotty that day (which rarely happens) just to make sure I'm in no way wripping at my hair. I personally think this little change has helped my hair lie flatter and less frizzily (if that's a word) on my head. 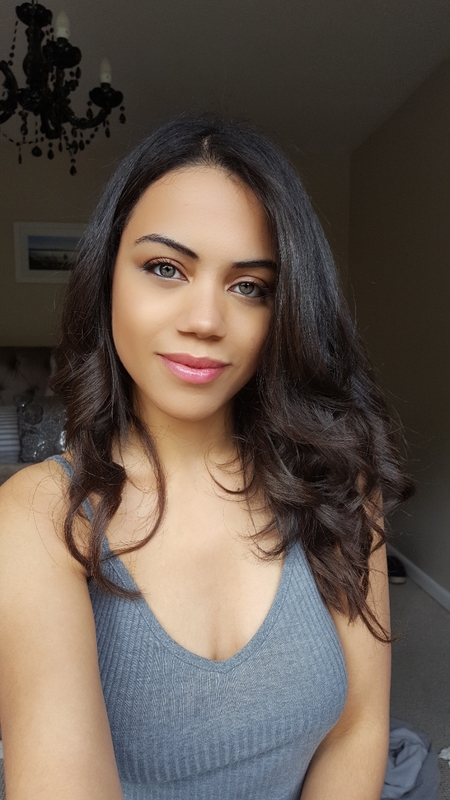 Yes i still get the odd unruly flyaways, after all I will always be a big curly haired girl but now that I take the care not to rip at my hair when I'm styling it or taming it i've found my hair lays smoother and calmer on my head even when I step outside into the unpredictable English weather. Hair Hack #3 - A little spray of dry Shampoo to the roots helps add bounce! Yes I'm an addict for this stuff and as I've been using it for the last two years I feel happy to recommend it as an option to you gorgeous guys and gals if you're looking for a dry shampoo that leaves no white residue or dry dull texture to your hair. 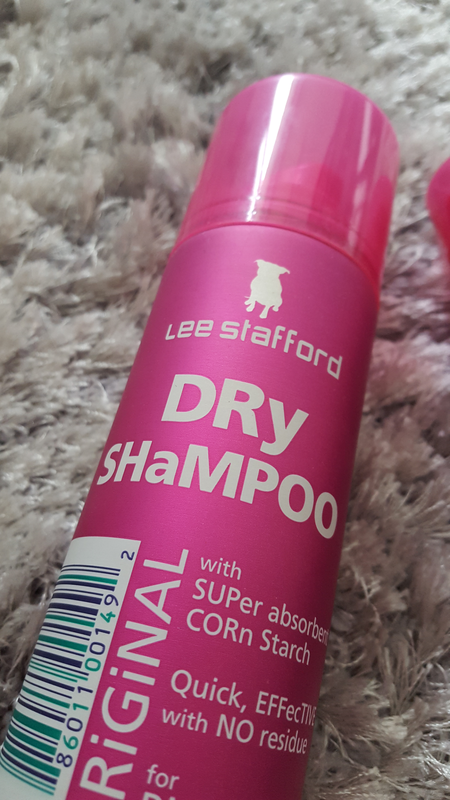 I first discovered Lee Stafford's Dry Shampoo through a youtuber recommendation a fair few years ago. Of course I was blown away by her big bouncy locks that moved and bounced happily as she talked and had to invest some of my 'beauty fund' into giving this product a try. I had tried some of the poker straight hair products a few years before and fell in love but had almost forgotten about them in the years I'de decided to start embracing my thick mane and stop tampering it down. Sooo I gave this product a try and from then on it's been love. This, along with the Lee Stafford Shine Spray, have been two of my favorite hair must-haves for keeping my ordinarily wayward locks in check ever since I descovered them so many years ago. I love to use the dry shampoo not only when i've left my hair unwashed for a few days and need to leave the house but also whenever I want to add a little more texture and bounce to my roots without hair spraying the living daylights out of my locks and drying them out. I definitely recommend trying this out if you love volume in your hair but with bounce. I've added a link to this product if you want to discover more about it or your looking for a place to pick it up RIGHT HERE! Hair Hack #4 - Define your Bounce and Curls using your Straighteners of a curling wand! Now don't get me wrong, i've definitely learned my lesson about over-using heat tools on my hair to get a sleek straight look. I never recommend using hair tools everyday and if you really want to keep your hair in top condition minimize heat treatment on your hair as much as possible. But lets all be realistic here. I would be utterly lying to you all if I sat here and told you that I haven't touched a heat styling tool since I last looked in that mirror and realized the damage i'de done using them. My hair curlers and straighteners sits on my makeup table just as proud as they did 10 years ago and I can't tell anyone that I don't use them and they're just a decoration in my makeup corner. I think instead the one thing I can tell you all is that i've learned to try and be as respectful of the damage they can cause my hair as possible. I love the sleek feel and definition heat can give my hair but i'm also aware that overuse can turn my tresses into a big dry ball of damaged fuzz just as easily and so now I use my heat tools as little as possible and use cheat hacks to reach my desired look as much as possible. 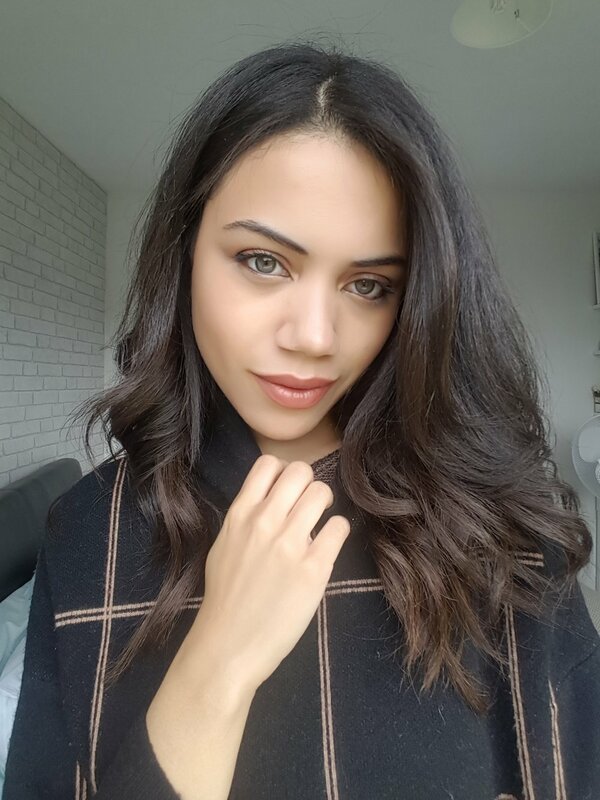 One hack that I love is to use my straighteners or curling wand to add a few curls to my hair instead of painstakingly curling and setting each strand to give a perfectly manicured curl effect. I now much prefer to emulate a more tussled look by taking a few small sections of hair and quickly adding a soft curl to the ends, instead of holding the heat pressed tight to each fibre for the count of ten and hoping I don't singe the life out of each strand. Yes the curl effect is no where near as polished and perfect but i've learned to embrace big bouncy tussles instead of tighter curls. I also make sure that I always use a heat protectant on my hair even before blowdrying. I have my personal favorite Paul Mitchell Heat Seal but at the end of the day the most important thing I've found is to be constant with its use and never leave your defenseless tresses unprotected whenever their bonbarded with heat. I have to confess, along time ago I used to be that girl who just ignored products like these and thought ignorantly that my hair could take whatever heat I wanted to give but the difference I've seen in my hair in the two years I've started taking heat damage seriously has made me see how wrong I really was to believe it. Hair Hack #5 - Use Shine Spray to help define your curls and emphaise their bounce! I love shine spray, some might say a little too much. It's always the product I reach for before leaving the house and if I think my hair looks a little parched or I can't be bothered to spend much time styling it before I run out the door I always remember to spritz a little over the mids and ends just to give it that healthy looking sheen. My all time favorite shie spray I've used for the last two years is definitely the Lee Stafford Shine Spray with Pro-Shine Complex. I really recommend it for anyone who loves to add a touch of light reflecting brightness to their hair but with no greasy or unrealistic shimmer effect that just makes the hair look oily or lank. I love the polished effect shine spray gives to my hair and I have to be honest I never really feel 100% happy with my look until I've splashed a little of this on my tresses as a finish effect. I especially find this spray works well with big curly hair as it helps to define and give a smooth appearance to each curl helping to reflect the light on the turns and twists of the strands giving them a more sleek styled look. Well there you are, just some of the hair hacks I've loved to use to help maintain and improve the look and texture of my hair in the last few years. I still use all my Lee Stafford products to this day and haven't yet found any alternatives that have encouraged me to move them out. If you have any tips or tricks on what products or techniques you love to use to tame and style your big locks I would love your advice. I'm expecially interested in discovering any cruelty-free hair treatments or shampoo/conditioners you guys really like so please feel free to leave them in the comment below. Anyway guys have a great hair day and I will see you all back on my blog Evaknows! Hi guys. So this is a little strange for me because I rarely decide to break out my camera phone and splash selfies of me all over my blog. I have to admit I'm a little nervous of what people will think of me (as embarrassing as that is to admit) and I'm praying that no-one thinks i'm a vein so and so who just loves to pin pictures of her face on the internet at every chance I get as that really couldn't be further from the truth. 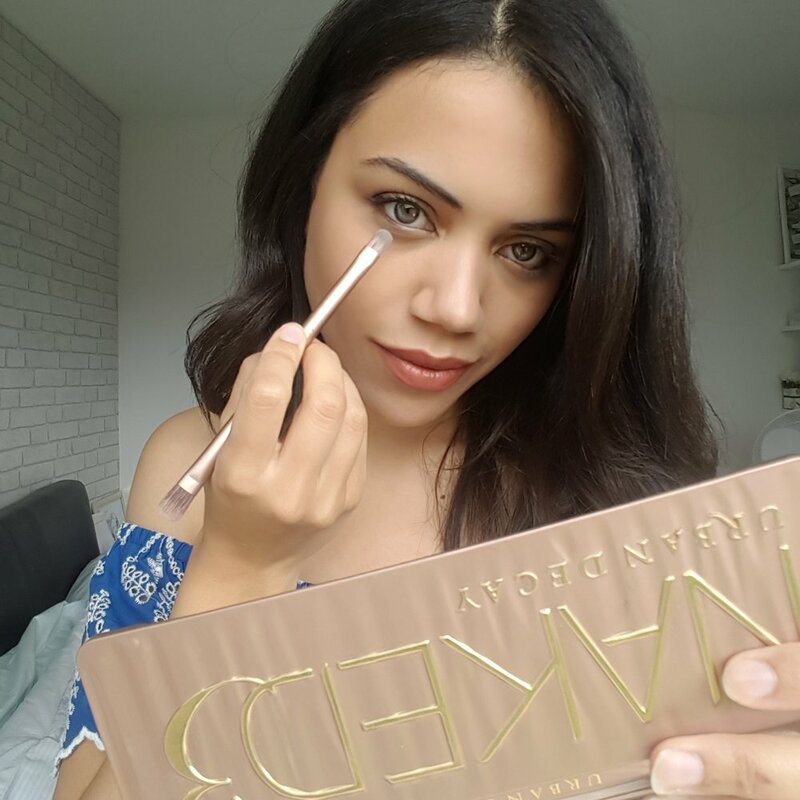 In honesty I'm quite a shy person especially when it comes to putting myself out there to people I don't know but for the sake of wanting to give you guys an honest and personal review of the Naked 3 Palette I had to throw in a few photos of myself wearing this product just so I could explain my points. Now I'm going to stop my embarrassing 'don't look at me' babble before all I end up talking about is how camera shy I really am and just get on with the all important review (yay). 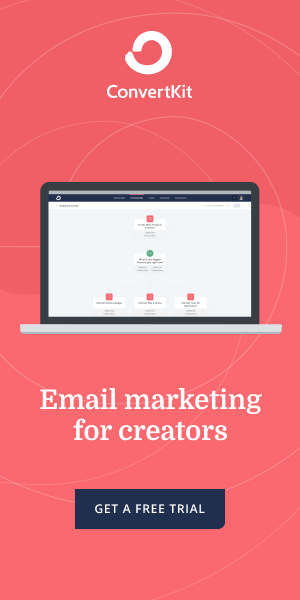 Note: This post contains affiliate links, which means that if you click on one of the product links I will get a tiny bit of compensation for your doing so. I want to stress that in no way does me including affiliate links affect my opinion of a product good or bad and I would never bother linking to an item I didn't deem worthy of being purchased by me or my readers. 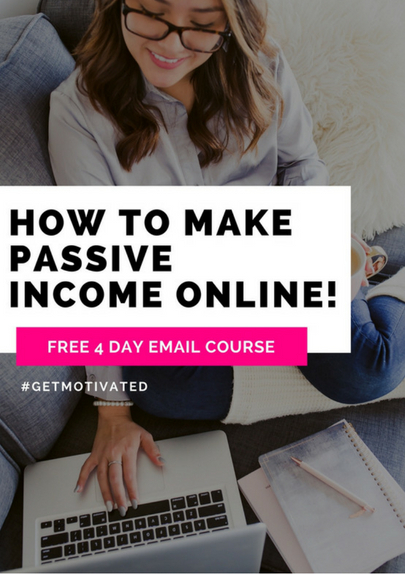 I never want anyone to waste good money they've worked hard to earn! Now before I begin I want to tell you that I've never been the type of girl to be able to slather on bold bright eyeshadow colors on a daily basis and strut out the front door radiating fierceness. I really wish I was, but that just isn't me. Instead I have always opted for eyeshadows and makeup styles that 'look' like I'm wearing barely any makeup and I rarely choose to sit infront of the mirror for hours perfecting a smokey eye or creating a shimmering lash look that could blind passers by. If you're into really vivid makeup and strong statement eyes then I'm going to save you any extra reading and just tell you this eyeshadow palette isn't for you. The subtle looks you can create with these shadows are perfect for me because I love a neutral look but for anyone seeking a little more va va voom I suggest going for a palette with a lot more colour choice and stronger pigmentation than this one supplies. If you do like to keep it natural however I can't praise this beauty product enough. I've been using the Naked 3 Urban Decay palette now for a little under a year and so I finally feel qualified enough to offer my opinion on this product and truthfully tell you guys how much I have fallen in love with almost all the neutral colors available inside this gold tin. If you love to use eyeshadow to create subtle warm looks or to help contour the shape of your eye then I personally think this could be the perfect palette for you. How long the product Lasts: One year in and it looks almost like I haven't used any of it! Beautiful neutral color range: As a girl who loves to keep it natural when it comes to eyeshadow I loved almost all of these super pretty brown, beige and pink eye colors. The amount of shimmer in each color varies but none of them look overwhelming or unnatural. I particularly fell in love with the colors Factory and Mugshot when it came to which ones I like to use everyday but at some point I've tried and happily worn all the colors in the palette and loved each one. 12 color shades in one palette: I personally never bother to buy single or duo eyeshadows when I go shopping for makeup anymore as I inevitably loose them in a crevice of my makeup bag or end up just forgetting I brought them. I also often find these days that even purchasing a eyeshadow quad from the high street can rack up the pennies and leave you with only a few eyeshadow looks to try for your money. Thats why i love the fact that the Naked Pallete comes with 12 shades that look abolsutely seemless together and leave you with tones of options to play around with your eyelook. You're able to build the color intensity: Now this is both a plus and a minus when it comes to my personal opinion. Its a negative for me because it means I have to use more product to really get an intense look with these eyeshadows however I have to include this as a plus because it makes throwing on any color in the collection a breeze when it comes to blending the shadow out and it gives me so many more choices as to how intense I want my eye makeup to look. As i've said I'm a girl who prefers to use eyeshadow to enhance the shape of my eyes or add a soft shimmer here and there on a daily basis so the lack of strong pigment actually lent itself to my style of makeup more than an eyeshadow with strong color. Darkest Shade as eyeliner: I absolutely love the darkest color in this palette Darkheart. I have to say this is the rectangle that with out a doubt gets the most use and that's because I adore using it as my eyeliner both in my everyday look and when I'm going out. Of all the shades Darkheart is by far the most pigmented and its very slight shimmer and almost purple/brown shade lends itself perfectly to elongate the eye and create a subtle looking cat shape without the harsh egde of eyeliner. I love to trace this color around my eye to finish almost any eye look even when I'm wearing almost no makeup and the amount of people who compliment my eye shape sky rockets whenever I go out with this smokey shade on. Eyeshadows that stay on all day: The Naked 3 palette is definitely my one stop shop for creating the eyelook I want in the morning and still having that exact look by 12 o'clock at night. I love the stay power of these shadows and personally have never worried about panda eyes or fall out once my makeup look is done. I have incredibly oily eyes and so have experienced many occassions when I look in the mirror 3 hours later from application to find my eyeshadow somewhere near my nose but with these I find the fine texture of the powder formula and these stay ability to be spot on. Double Sided eyeshadow brush included: A definate pro to choosing this palette over the wealth of others in makeup stores is not only the beautiful color choice, staying power of the eyeshadow formula and of course my favourite color Darkheart but you also receive a really beautifully crafted double ended eyeshadow brush that I think outbeats all the cheap applicators and mini brushes i've received with most of my other eye palettes from the past. The ultra soft extra features a thin precision brush head on one side and a fluffy blending brush on the other perfect for creating a majority of day and night looks with this palette. As I mentioned before the brush fibres are also super soft and gentle on the eye so i've never had a problem working on my lids with this brush for a longer period of time to create the look I want. The eyeshadows don't have the strongest pigment: As I mentioned above this can be both a gift and a curse. I've found that you definately need to build these eyeshaow colours in order to get thr full strength of what you see in the tin. Again for me this isn't an issue because I love being able to build and manipulate the strength of the color intensity on my eye but I know for others this could be an issue if your into the 'one swipe and go' eyeshadow look. Again I don't personally think this is that much of a problem as I find it's super easy to reach the strength of color you want in two or three swipes but it's something to definately consider if strong pigment is a major factor when considering whether to purchase an eyeshadow or not. Not suitable for the bold bright eye color lovers: I mentioned this at the very beginning of this review because I think this really does weed out the people who should consider this palette and not. If you're into vivid eyeshadow colors and strong makeup looks then there's not much in this collection I could recommend to you. This is definitely a neutral palette more suited to the girl who like the natural look. For the days I on occassion feel a little more daring with my eye makeup I don't reach for the Naked 3 tin to give me a bold stand out look. The powder can be slightly flaky upon application: This is only a minor problem for me because I have to admit i'm being a little pedantic. When I say slightly flaky I really mean barely any flaking at all but I have on occassion found that particulary the two end lighter shades have a slightly more crumbly texture when being applied to the eyes than the darker tones and so I do find myself occasionally steering to the middle or dark end of the palette if I don't fancy dealing with any fall out at all. Don't get me wrong I still love to use all the colors in the palette and I truly am nit picking for the sake of anyone thinking of buying this palette when it comes to eyeshadow fall out. Overall I can't explain how happy I am with this palette. This rectangular tin of golden goodness has been my go to eyeshadow color choice almost everyday for the last 365 days and I've barely even scratched the surface on the amount of product i've used up. Honestly this palette almost looks like new even though I've dusted all these shades on my eyes over the course of this year and worn Darkheart as an eyeliner even when I'm just pottering around the house. I love to travel with this palette as It comes with it's own wide mirror and of course the gorgeous double ended brush and i'm even planning on picking up a few of these for christmas as gifts for my natural beauty loving besties. This palette is definately for those ladies who enjoy the natural look and really only use eyeshadow to enphasise their eyes with a soft neutral glow or subtle smokey eye look. I also love to use this palette to contour my eye shape and the eyeshadows build-able color intensity and fine texture make it perfect for blending out and drawing gentle attention to the eyes. The Naked 3 Urban Decay Palette is defiately a 5 out of 5 in my natural looking shimmering eyes.